The Skullcandy Method in-ear headphones are great if their one sized earbud tips fit your ears, as they offer a solid low end for those who enjoy plenty of bass. 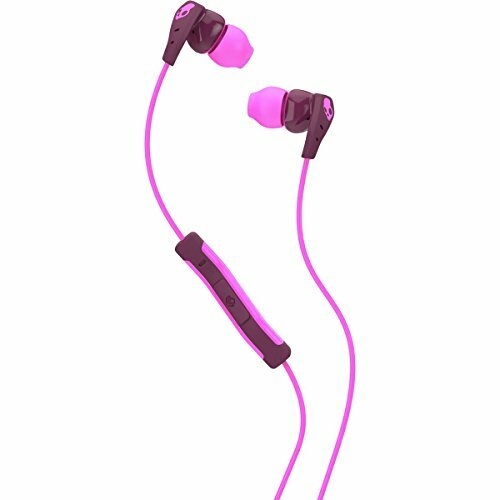 The Skullcandy Method in-ear headphones received positive reviews for their great price, their great sound and solid bass response, their solid construction and their sweat resistant design. Some users did, however, find that they were not as comfortable as they would have liked, as the fit was in fact not that good in their ears, reporting that they came out often or needed to be readjusted often. The audio jack is also L-shaped, which can be problematic for those who carry their playback devices in their pockets. The Skullcandy offer a solid sound experience and are suitable for those who like a low end thump, but they meet constant readjustment to sit properly, especially if you find yourself moving around a lot.